The word that describes Tamila is ‘courage’, always trying to challenge herself to achieve her goals and develop her potential as a changemaker. She is a Social Worker by profession, researching, writing and working for Social Causes concerning racial and gender equality. She also gives lectures and workshops on these topics. She worked in NGOs concerned with the education of young girls, and in Public governmental institutions targeting racism and religious intolerance. Tamila is interested in working on a global level, innovating solutions for structural problems. 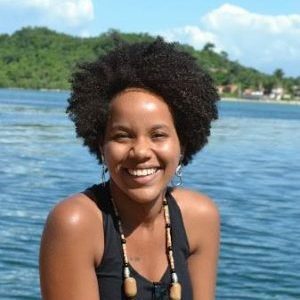 In 2010 Tamila participated in a Cultural Exchange to Colombia through AIESEC. She enjoys music, reading and knowing different cultures. Besides that, she also practices and loves the Brazilian martial art called Capoeira.